Taking your family on holiday is always a substantial undertaking, not least financially. Whatever your collective ages, wherever you are travelling to, the practicality of travelling through an airport as a group, with young children or older generations is not easy — but one regional airport is winning both awards and applause for its ease of use. 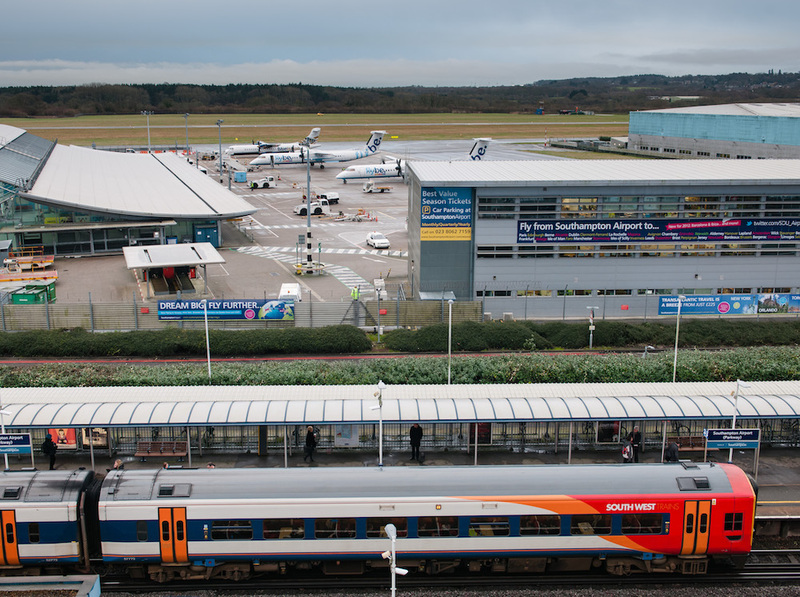 Southampton Airport, located just off the M27 in Hampshire, is gearing up to welcome even more skiers with the news that easyJet and powdair will be flying to the Alps increasing the number of airlines with ski routes to three. The news has been welcomed by local families, who love using Southampton Airport for their ski holidays. “Last season we flew with Flybe from Southampton to Chambery with our children Rafferty, 3 and Emilia 6, for our ski holiday in Sainte Foy. We loved the airport for so many reasons and will certainly be doing the same thing again this season,” says Tiffany Friend, who lives with husband Miles Seddon in Lymington, Hampshire. Tiffany is passionate about cutting down our use of disposable plastic, and was particularly keen on the water fountains in the airport that she could use to fill up the whole family’s bottles. The restaurants at Southampton Airport have children’s menus and highchairs, with activity passports that children can fill in while they’re waiting — as well as following the Merlin Trail, an activity treasure hunt to find mascot bears hidden throughout the terminal. It is probably unsurprising to know that Southampton Airport last year won Best Baby Changing Award from Sudocrem — for its high number of clean and spacious facilities that offer a comfortable changing mat in a calm environment, and plenty of room to move around and stow a pram. But it’s not just the young families that enjoy travelling through Southampton Airport. Its excellent transport links — a five-minute drive from the M27, at the bottom of the M3, with its own train station Southampton Airport Parkway, just 99 steps away from the terminal, makes it an all-round easy experience. Louise Johnson, who lives in Lyndhurst, Hampshire, opted to fly from Southampton to Chambery with boyfriend Mark and her uncle Derek for their family ski holiday in March — meeting her father in the Alps who had flown from Stansted, 20 minutes from his home in Cambridgeshire.